Data Analytics in Football provides students, researchers and coaches with a firm grounding in the principles of modern performance analysis. 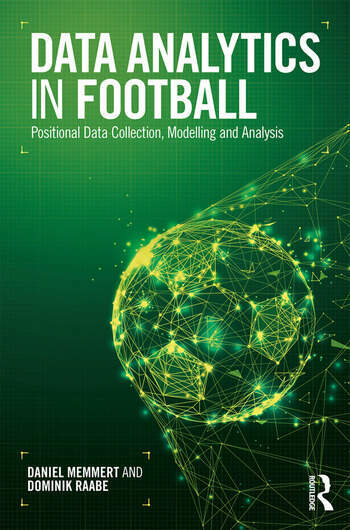 It offers an insight into the use of positional data, exploring how it can be collected, modelled, analysed and interpreted. Introducing cutting-edge methods, the book challenges long-held assumptions and encourages a new way of thinking about football analysis. Accessibly written, packed full of examples from elite football and supplemented with expert interviews (Ralf Rangnick, Urs Siegenthaler and others), Data Analytics in Football is a thought-provoking, rigorously evidence-based guide to the use of data analytics in football performance analysis. As such, it is a vital resource for any student, researcher or coach interested in performance analysis and skill acquisition, or anyone interested in football more generally. 1 Where is the revolution? 7 Where are they running? 17 Who is nominated for the FIFA World Cup 2018? Daniel Memmert is Professor and Executive Head of the Institute of Training and Computer Science in Sport at the German Sport University Cologne, Germany. Dominik Raabe is Research Assistant at the Institute of Training and Computer Science in Sport at the German Sport University Cologne, Germany. He is also studying Scientific Computing (MSc) at the Institute of Mathematics at the Technical University Berlin.